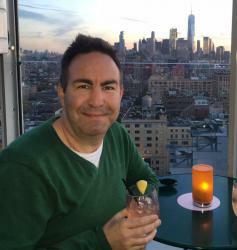 The only remarkable thing to come out of the result from the by-election for Former Australian Treasurer Joe Hockey’s seat of North Sydney on the weekend was that Australia now has its first elected openly gay member of the lower house of Parliament. Trent Zimmerman, 47, is the first openly gay member of the House of Representatives and continues a push within conservative ranks in Australia to show itself to be progressive and more inclusive. The “Conservative Gays” as some are classing them, came out to support Zimmermann on yesterday’s polling booths with young gay liberals from all parts of the city manning booths to hand out voting cards in support of Zimmerman’s tilt at his old boss’ safe Liberal seat. Before the by-election, Zimmerman said he strongly supported marriage equality being decided by a free vote of the Parliament rather than a plebiscite. “I would have supported a free vote and preferred it to be decided by the Parliament,” he said. Although the Libs had a swing against them in the seat, the earlier controversy of choosing a former political staffer of Joe Hockey’s into the seat had little or no effect. 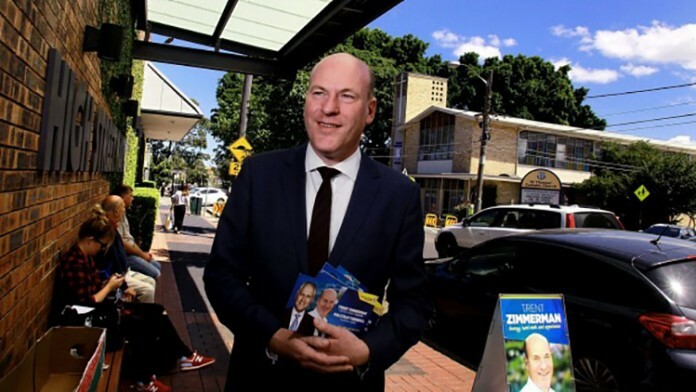 Trent Zimmerman has faced friendly-fire from conservative Liberals who were angry at his preselection which was fast-tracked given the tight time frame in which the election was scheduled. One NSW Liberal said the NSW Right had “salted the Earth” with claims Mr Zimmerman’s candidacy was not legitimate and this had not helped. One thing that did help Zimmerman was the popularity of the new Prime Minister Malcolm Turnbull as he acknowledged in his victory speech. “Can I say PM, the message I heard time and time and time again is residents in North Sydney are inspired by your optimism, are inspired by your positivism and inspired by the way in which you are conducting your new Government,” Mr Zimmerman said. Mr Zimmerman also paid tribute to Mr Hockey who is set to be announced as the next ambassador to the United States. “I cannot think of a person who has a bigger heart than Joe Hockey and I think that we saw that in everything he did in Australian politics and we owe him an enormous deal of debt and gratitude for all he’s done for our electorate,” he said.